Scientists used to believe that when it came to the nature versus nurture argument, nature had the upper hand. Turns out, this isn’t so. Thanks to the genome project and the study of epigenetics, it appears that both nature and nurture are important, and nurture actually plays the starring role when it comes to your health. 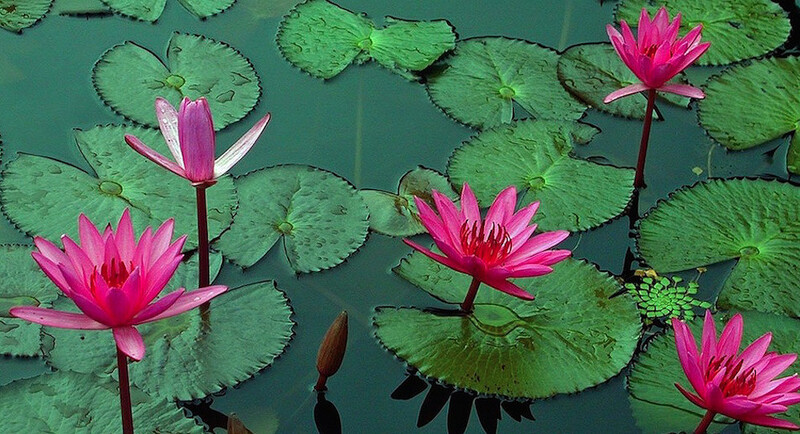 Both nature and nurture shape your personality, talents, and health, but they play different roles. Your physical traits are genetically passed down from your ancestors. So are the traits and behaviors that make you human. For example, your brain is wired to initiate specific mental and physical developmental milestones at different stages of life. However, sometimes the traits that are passed down were influenced by the environment. For example, fruit fly parents who changed color because of weather passed the color change on to their offspring, not their original color. Women who develop insulin insensitivity develop more insulin resistant eggs, which affects the sensitivity of their daughters and their granddaughters. These traits change due to epigenetics, the power of your inner and outer environments over your genes. Conventional beliefs about predestined mental and physical health have been turned upside down thanks to the science of epigenetics and new understandings about the brain. For a long time, it was believed that our brains developed for a few decades and then pretty much stayed the same until beginning its decline into old age. Now we know that the brain never stops changing. We acquire about half of our neural networks through heredity. The rest we build as we learn new things and have new experiences. We can influence these networks through our free will right up until the day we die. How our brains are wired are as unique as our fingerprints. The term epigenetics means ‘over the genes’. 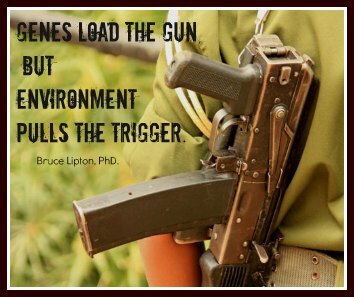 It is the study of how your inner and outer environments affect how your genes express themselves. With the exception of genetic defects and hard-wired heredity, it is really not nature versus nature, but nature and nurture that influences your genes and therefore your health. Within a healthy environment, even ‘mutant genes’ can regain normal expression. Your genetic code impacts health and longevity less than half as much as your environment. The genetic code you received from your parents does predispose you to certain conditions, but the environment your cells live in exerts a powerful influence. This environment is made up of factors including diet, nutrients, hormone balance, toxins, lifestyle choices, your beliefs, perceptions and mental states. Fortunately, this means you have a significant measure of control over your health and well-being. You are not a victim of your past or your genetics, as was once believed. The beliefs that “I am who I am and I can’t change”, or “I’m going to get ___ (fill in name of disease), because my parents and grandparents had it, are no longer valid. In this video, Dr. Bruce Lipton explains nature versus nurture and how your thoughts and epigenetics influence health and healing. The science of epigenetics shows that, except in the case of genetic defects, it is the cell membranes that run the show, not the DNA. Basically, cell membrane receptors respond to signals in its environment. This does not change the genetic code, but it does affect the thousands of ways genes inside the cell express themselves. They can be turned on or off or instructed to behave in a certain way. This can change in a matter of minutes or be passed down to future generations. Take the example of tumor suppressing cells. Diet can keep inhibitors from turning tumor suppressing cells off and to get them back in view of the cell. When the gene that suppresses cancer is turned off, your chances of getting this disease increase. 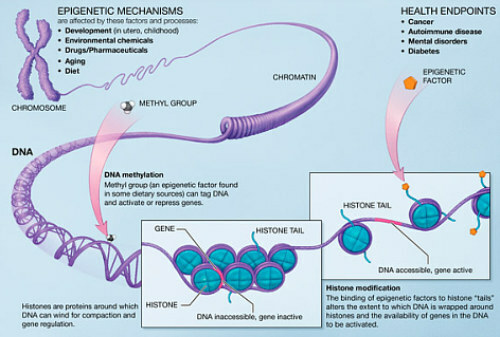 This graphic from the National Institute of Health illustrates how epigenetics turns genes off and on. If the gene wraps too tightly to the DNA it becomes inaccessible and cannot be used. Then degenerative diseases can develop. Even though genes are part of your physical body, they are significantly affected by your thoughts, perceptions and beliefs as well as how you care for your body and your genetics. Your body affects your mind and your mind affects your body, including your genes. Certain gene factors are meant to be encoded by the environment, especially conversation. Genes can be turned off or on, up regulated or down regulated starting in the womb. A baby born into one culture may have a different cry than a baby born into another culture based on the language patterns of the people around it. Nature versus nurture plays a role in mental health. Research shows that adults who dealt with a lot of childhood adversity are more susceptible to psychiatric difficulties such as PTSD and anxiety because of gene changes related to regulation of the stress hormone cortisol. Although no one can guarantee how a cell will express itself, your health does not have to be a nature versus nurture battle. When they work together, good things happen for your health. The old adage, “an ounce of prevention is worth a pound of cure” holds true. The best time to consciously impact your cells is before you begin manifesting disease. However, it is never too late to create a physical and mental environment that supports health and encourages your subconscious mind and your genes to express in ways that promote healing. Cells living in a healthy environment will be healthier and function better. They can be restored to optimal function when you improve their environment. A well-cared for body makes for a healthier mind, and vice versa. That is what holistic health and healing is all about. It is your body’s nature to move toward healing and wellness when it has what it needs. Nurture your physical body wellness with a healthy lifestyle. Nurture your mind by getting rid of emotional garbage and filling it with life affirming thoughts. Use your mind to create a healing environment for your cells. Your mind can heal you or it can make you feel or become ill according to your belief. When it comes down to it, it is not a matter of nature versus nurture but nature and nurture. Together they make a powerful combination that affects your well-being for better or worse. You have the power to make them work on your behalf. Do what it takes to encourages health promoting genes to turn on and undesirable gene responses to turn off. This entry was posted in Uncategorized on March 20, 2018 by The Health Coach.